The supplement market is booming, which is why you’ve decided to put out your own supplement or supplement line. In such a saturated market, you may be looking for a way to get an edge over the competition. To accomplish this, some companies have decided to pursue patents for their products. 1. Having a supplement patent lawyer write your patent application can be VERY expensive, easily running you over $10,000. 2. Supplement patent lawyers usually aren’t specialized. This means that they do other types of patents as well, not just supplement patents. And supplement patent lawyers are just that – lawyers. 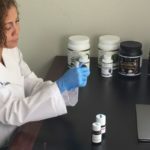 They aren’t scientists, and therefore have no clue as to the science behind your supplement, making it nearly impossible for them to write authoritatively on its ingredients and effects. So, if you aren’t going to get a supplement patent lawyer to write the patent application for your supplement, who will? We have custom formulated dozens of supplements for our clients. Our team of professional writers has worked on more than a thousand supplement research/writing projects, including supplement patent applications. Without a doubt, we have the knowledge and expertise needed to write your supplement patent application; and the best thing is that we won’t rob you in the process. Our fees are reasonable and our turnaround times are excellent. So, contact us today to see how we can help you with your supplement patent application.